A major issue in 5G wireless communication channels is the combination of both multipath and the time-varying behavior of the multipath channel due to the movement of the scatters (e.g. the movement of the car). This time-varying multipath makes that e.g. OFDM has problems in demodulating and compensating the channel characteristics, resulting in a loss of channel capacity. It is known that such mobile multipath channel are best represented in the delay-Doppler domain. This mixed delay-frequency domain representation provides a more compact representation than the (more classical) delay-time domain representation. This is especially true for high frequent communication systems (26-28-60GHz, mm-wave) and fast moving systems (cars, high-speed trains). The aim of this thesis is to first measure and characterize mobile MIMO multipath, time-varying wireless channels in the delay-Doppler domain. A good measurement of the MIMO (time-varying) frequency response is the first step towards the compensation of the channel’s effect on the received data. The measurement of the mobile channel will be done using an USRP based transceiver which can be power using an USB port of a portable. 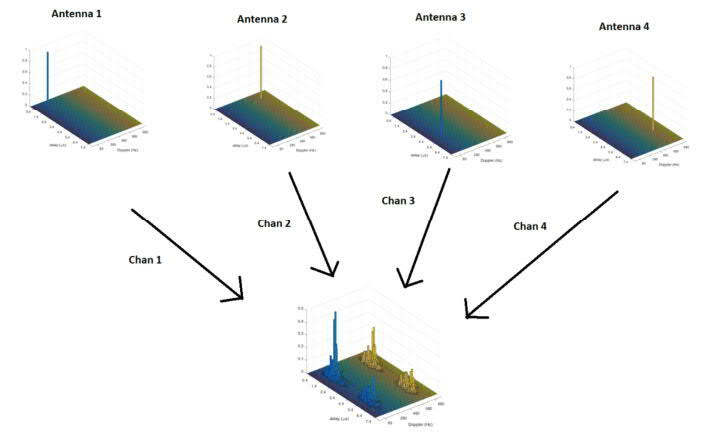 After the measurement and characterization of the channel, different optimal positions of the pilot tones (used to characterize the wireless channel in an OFDM-like communication schemes) can be determined. In addition to the positions of the pilot tones, it is also possible to use advanced signal processing techniques (such as the local polynomial method) to improve the interpolation capabilities in between the different pilot tones. This thesis will enable you to master the different aspect of the measuring and characterizing time-varying communication channels and the signal processing techniques used to compensate for them.